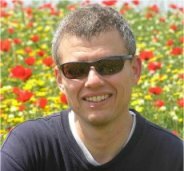 Editor’s note: This article is by Dr. Haim Nelken, Manager of Healthcare and Privacy at IBM Research – Haifa. Anyone who has been a patient in a hospital will probably agree that the experience has room for improvement. Much of that sentiment stems from the fact that hospitals are complex production facilities. Meaning, while their goal is to keep us healthy, the diverse activity that goes on (not to mention the coordination between staff and departments) make decisions more difficult and processes less efficient. IHMS provides an environment for proactively managing hospitals and the big data running through them by analyzing information from hospital events and processes. Instrumentation and the proper use of data and knowledge can make a real difference when it comes to improving patient care. Towards this end, our team at IBM Research’s lab in Haifa, Israel developed the Intelligent Hospital Management System (IHMS). The system can help hospitals and health ministries coordinate the massive amounts of information associated with different aspects of their services. IHMS provides real time information about relevant key performance indicators (KPI), such as average waiting time, bed occupancy, current infection status, average utilization of resources, readmission rates, and manpower per department — and most importantly, how all these processes impact one another. The system is open and healthcare providers decide which indicators to cover. If Big Data is the blood in a hospital’s veins, IHMS is the modality that visualizes and analyzes the insights from the hospital’s information, hospital events and processes. The technology includes a central dashboard, alerts, and reports, alongside predictive analytics and support for decision-making. For example, IHMS can provide real-time visualization into events as they develop. Hospital executives can get a better picture of what’s going on from the operation’s point of view and can gain additional insights and better understanding through analysis of ”what if” scenarios: What if we discharge all mothers of newborn babies a day early? How many beds will then be available? How will it affect readmission? What will be the associated costs? Is there a subgroup for which earlier discharge provides higher benefits? Government health ministries can use the IHMS dashboard to see what kind of inoculations were given in the country hospitals, follow the spread of influenza, mortality, recovery, or treatment options provided. They can also see how the number of flu patients changes over time. IHMS can also improve patient experience and optimize workflows. For example, once it knows the queue and wait time in each hospital lab and discovers a patient who needs to undergo a series of urgent tests, it can determine their best order – whether to do an x-ray first and then blood tests, or vice versa. It can also send alerts that an orderly will soon arrive to help transfer a patient. By combining clinical and operational information, hospitals can also gain further insights into treatment effectiveness per population groups, improve outcome and share best practices. KPIs are the powerful link IHMS makes between measurements and goals. For example, a hospital working to become completely paperless towards achieving HIMSS Analytics Stage 7 can track the appropriate indicators that identify progress and eliminate bottlenecks. Similarly, at a country level, government officials can follow of the same population health indicators that the World Health Organization measures to identify local regions where more focus is needed. hcare administrators can use IHMS to make informed short-term tactical decisions while gaining insight into how their decisions will affect various outcomes, staff groups, and finances.